Villains always have the best digs - but which belligerent boss has the biggest and baddest base? 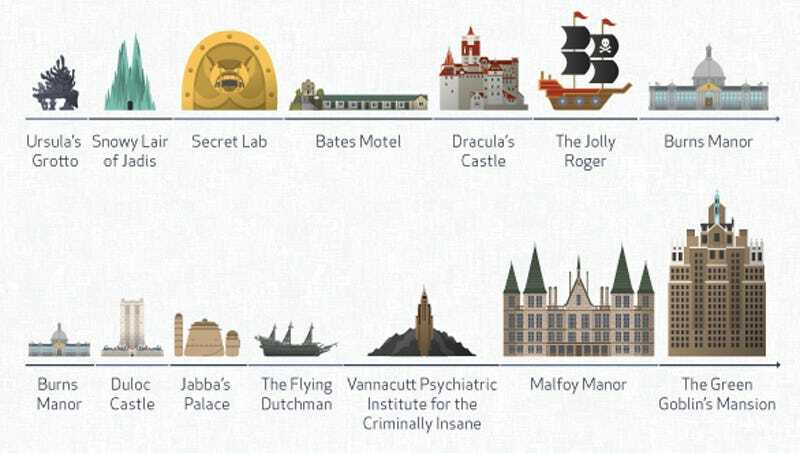 Here's a breakdown of some of villainous lairs, to scale. The infograhic comes care of up-and-coming marketing team, Fractl (EDIT: with their client Movoto), and honestly, we could always use more genre-specific infographics. Check out the full thing (Link updated with newer version).